Nicholas O’Connor says there’s a generational split in Belchertown when it comes to new amenities and development in general — but that line has become increasingly blurry. “There’s the old guard who don’t want anything to change; they want it to be a bedroom community, and they still lament the fact that we have a Stop & Shop and a Family Dollar. There’s no changing their minds, and I get that,” said O’Connor, who chairs the town’s Board of Selectmen. And ‘more’ is a good word to describe economic activity in town, particularly along the section of Route 202 running from the town common past the Route 21 intersection to the Eastern Hampshire District Courthouse, a mile-long stretch that has become a hub of development, from a 4,500-square-foot Pride station currently under construction to a 4,000-square-foot financial center for Alden Credit Union; from Christopher Heights, an assisted-living complex that recently opened on the former grounds of the Belchertown State School, to a planned disc-golf course. These projects, balancing town officials’ desire for more business and recreation, have been well-received, O’Connor said. That said, it takes plenty of planning to build momentum for projects — not to mention state and town funding and approvals at town meetings — but he sees the dominos falling. The 83-unit Christopher Heights has been a notable success, growing its resident list every month and exceeding its forecasts, O’Connor noted. Nearby, Belchertown Day School and Arcpoint Brewing, a veteran-owned business run by a couple of Belchertown locals, both plan to break ground on new facilities in the spring. At the same time, Chapter 90 money came through for the renovation of that key stretch of Route 202, a project that will include new road signaling, crosswalks, sidewalks, and bike lanes, making the area more pedestian- and bicycle-friendly. Meanwhile, Pride owner Bob Bolduc will put in a sidewalk and a pull-in as part of his new building, which will accommodate a new PVTA stop. Belchertown has plenty of potential to expand its recreational offerings, O’Connor told BusinessWest. For example, a town meeting recently appropriated funds to create an 18-hole disc-golf course in the Piper Farm Recreation Area. He envisions the course as another piece in a day-long outing families could have in that area of Belchertown, with attractions ranging from baseball at the town’s mini-Fenway Park to Jessica’s Boundless Playground, to a 1.3-mile walking trail behind the police station that circles Lake Wallace. Meanwhile, state Sen. Eric Lesser was instrumental in securing money to tear down some tennis courts and build a splash park. O’Connor would also like to see ValleyBike Share make inroads into Belchertown, and he wants to revisit discussion around expansion of a regional rail trail through town. And progress takes time, O’Connor said, noting that roadwork plans for 202 have been in flux for years, while Bolduc owned the future Pride site for a long time with no shovels in the ground until the assisted-living complex and other developments began to come online. To O’Connor, it’s not hard to see why businesses would want to set up shop in Belchertown. There’s the single, low property-tax rate, for starters, the well-regarded schools, and a widening flow of road projects aimed at making the town easier to navigate. But not simply pass through, he added. “I grew up in Amherst, and my dad lived in Wales while I was growing up, so I drove through his stretch every weekend. Then I went to UMass, and I saw them build all the hotels on Route 9,” he recalled. Of course, for business owners, a lot of cars is a good thing, and the impending development of sidewalks, bike lanes, and bus routes will continue to drive traffic into what has really become the heart of activity in Belchertown. 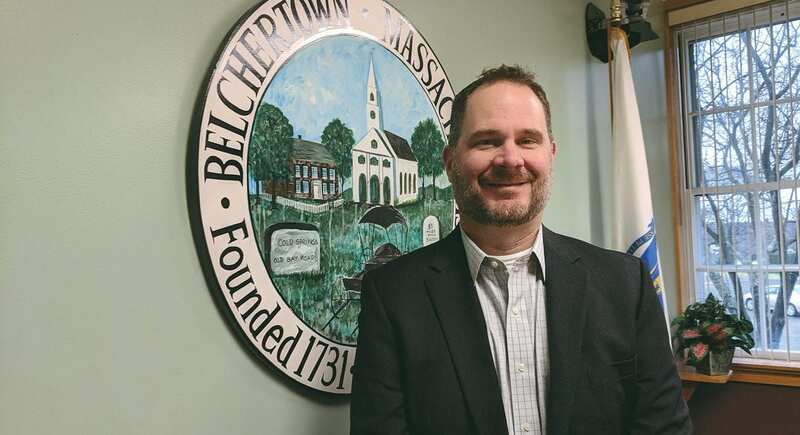 O’Connor told BusinessWest he can envision a future where Belchertown can be both the scenic, classic New England town of the past and a bustling destination. Illustrating that picture for other people can be a challenge, but he keeps trying.